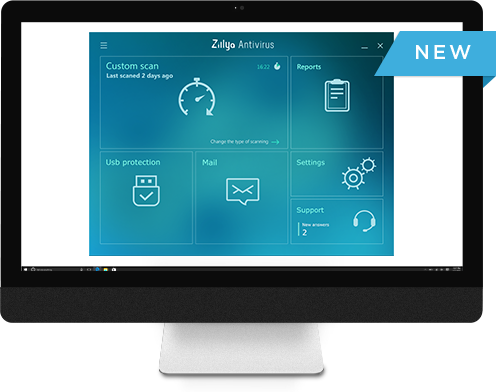 Proactive technology of protection will defend your PC from malicious software and scams. If you are looking for reliable and simple antivirus, this product will be ideal for you. It should be noted that such level of consumption is acceptable not only for modern personal computers, but also for those, which were manufactured 3-5 years ago. During Zillya! Anti-Virus work, it does not block nor slow down the most unpretentious computers. The main rule of Zillya! is "Anti-virus protection is, above all, high-quality service". The basis of a successful tech support is in-depth knowledge of the products, the desire to "listen" to user, to present information on the level at which it is clear to them. The secret of success is in the desire, the ability will also come. The desire to understand the user and to help him or her is one of the tenets of the successful technical support. Recommendations of highly qualified specialist, described by "cool" slang, may be "empty words" for the client. While the help provided in simple terms, are a recipe for the solution of user's problems and the key to professionalism in the eyes of the user. Antivirus Lab of Zillya! releases daily antivirus database updates, which contain the protection from thousands of new threats. To make user sure that the attacker would not steal important data or other valuable information from PC, the team of developers constantly analyzes the threats and offers new solutions for the detection of the maximum number of viruses. Currently, anti-virus database of Zillya! Antivirus has more than 15 million records. Blocking of dangerous sites Heuristic Analyzer scans files with similar characteristics. When a certain number of similar data found in the file, it decides that the program is similar to malicious one. Thus, Zillya! AntiVirus can detect malware that has not yet been added to the antivirus database. Zillya! Antivirus has a built-in heuristic analyzer and helps to protect the system from even those threats that have not yet appeared, but may appear in the future. Guard (Patrol) is a system for checking files in real time, designed to detect viruses and other malicious programs that try to invade on your computer. You do not need to remind yourself every day that you need to check your computer for malware. Zillya! Antivirus contains a function of Scheduler - the scannig of the PC, which can be configured in the most convenient way for you. The user can configure automatic scan one-time, daily, hourly, weekly or monthly.